Democrats are overdue for a generational changing of the guard, but so far party leadership has refused to step aside. How old is too old to run for office? 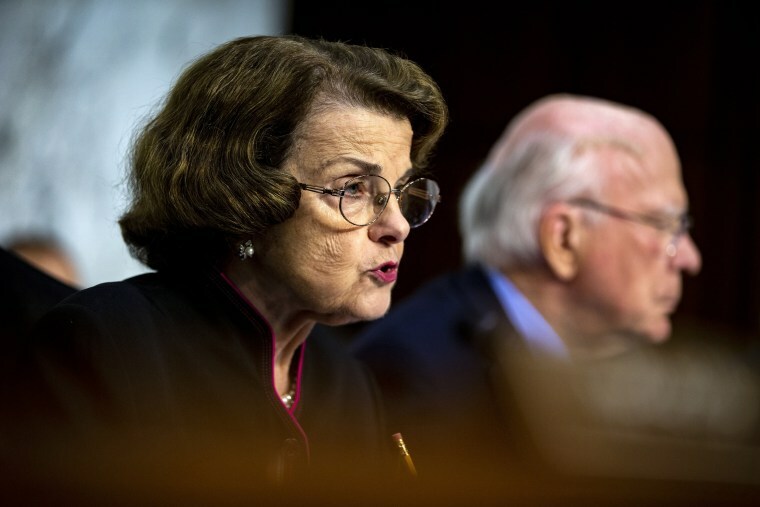 That’s the question that Democratic Party pundits and voters in California asked themselves earlier this year when Sen. Dianne Feinstein — an 85-year-old incumbent — mounted her latest re-election campaign. Feinstein’s polarizing decision sparked a primary challenge from California State Senate President Kevin de León. A relative spring chicken at 51, de León is an advocate for more progressive policies than the centrist ones that Feinstein has historically supported. It didn’t take long for political media outlets to frame the race between Feinstein and de León as a generational showdown between aging neoliberal powerbrokers and an emerging movement of progressive Millennial voters who want things like single payer healthcare, tuition-free public college, and a better plan to mitigate the effects of climate change. Feinstein and de León both earned enough primary votes to appear on the final ballot, with Feinstein earning the most support by a wide margin. But this past Saturday, leaders of the California Democratic Party did something unexpected — and controversial. They voted to endorse de León, despite Feinstein’s seniority and apparent popularity with (primary) voters. Critics have called the de León endorsement undemocratic while others have denounced it as sexist and ageist. But it seems like the most common refrain from Feinstein’s fans has been that America needs her seniority and the expertise that comes with spending decades in politics. So were the California Democrats misguided in throwing their support behind Feinstein’s younger, less experienced challenger? In fact, what is happening in California is indicative of a broader problem for Democrats at a national level. Barely a week before the de León endorsement happened, the Washington Post published its list of the top 15 likely liberal contenders for the 2020 presidential election. Like most 2020 lists, the Post’s early lineup included plenty of experienced insiders, but it lacked what some might call the Barack Obama candidate: a younger, less experienced but more charismatic rock star who would reflect on the outside what the Democratic Party says it represents on the inside. Demographically speaking, Democrats like to imagine themselves as champions of the young: mainly because young voters were a crucial component of President Barack Obama’s 2008 and 2012 campaign victories. But the Democratic leadership has a serious representation problem when it comes to age. A 2017 study by FiveThirtyEight found that the average Democratic member of the 113th Congress was 60 years old, compared to the Republican Party’s average of 55 years old. In fact, Democratic Congressional leadership has ranked older than their GOP counterparts since 1995. And the vast majority of both parties’ elected officials have been white. Demographically speaking, Democrats like to imagine themselves as champions of the young: mainly because young voters were a crucial component of Obama’s 2008 and 2012 campaign victories. This becomes even more problematic when you square the optics of the Democratic leadership with the voters who are most likely to support Democrats. The most liberal and racially diverse generation in America right now — the Millennial generation — is currently represented by politicians who are old enough to be their grandparents and monochromatic enough to be mistaken for a faction of the Danish parliament. Worse, today’s Democratic elders are more conservative than Millennials. It’s convenient for aging Democrats to lecture young voters about the incremental nature of change (a fiction), but Millennials don’t have the luxury of being able to settle for baby steps when it comes to the cost of healthcare, the shortage of housing, or the ravages of climate change. Millennials know they are going to have to deal with the consequences if today’s leaders do not fight harder to fix these issues. This is why esteemed senior-level politicians like Feinstein are now being challenged by younger leaders and, in California’s case, the state party itself. Democrats are overdue for a generational changing of the guard, but so far party leadership is refusing to step aside, even when it's for the greater good. This leaves younger liberals little choice but to challenge those leaders: even in deep blue territory like California or New York, where Alexandria Ocasio-Cortez — a 28-year-old organizer and Democratic Socialist — just defeated veteran Rep. Joe Crowley in a spectacular upset. By investing in candidates like de León, party leaders are betting on a bigger payoff down the road. The situation in California is tricky, however, since Feinstein came out of the primary with more votes than de León. But the California Democratic Party leaders seem to think that it’s worth the risk because of what they sense is happening more broadly on the American left. This is a longer term-strategy; By investing in candidates like de León, party leaders are betting on a bigger payoff down the road. One of those potential payoffs involves the much-anticipated 2020 race itself. Or rather, presidential races beyond 2020. The reason why we haven’t seen the second coming of Obama is probably because the Democratic Party hasn’t committed to building a bigger bench of qualified youth leaders. There simply isn’t enough young blood in the party ranks to yield the 2020 candidate that many Democrats are dreaming about. But that’s changing now. Upsets like the one we saw in New York just a few weeks ago offer a sneak preview of the kind of generational transition that Democratic voters and elected officials should be encouraging — even if that means asking experienced incumbents like Dianne Feinstein to retire. At the end of the day, experience and seniority is important, but increasingly it may not be the only thing that voters and delegates rely on when picking candidates. And politicians who put their egos above the long-term health and success of the party may find themselves increasingly pushed to the side. Miles Howard is the author of "The Early Voters: Millennials," "In Their Own Words," "On the Eve of a New America." His work has appeared in The Outline, The Nation, the Los Angeles Times, The Hill, and WBUR. His next book will look at the emerging wave of progressive Millennials running for public office.